Before 1882 Roman Catholics in Dunston had to travel to St. Joseph’s in Gateshead to hear mass, a distance of two miles or more. 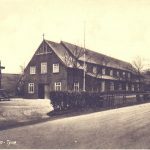 The Priest at St Joseph’s, Father Matthews, tried to hold services nearer to Dunston by hiring first a room in Tynedale Terrace and then a hay loft in Bolam Street which served the dual purpose of school and church. 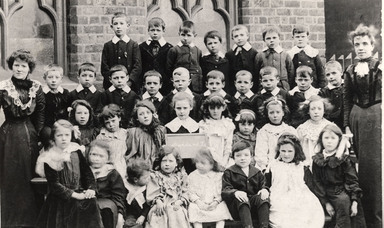 In 1882 plans were drawn up for a School which would open the same year. Lack of funds meant that the planned presbytery could not be built and the Priest continued to live in Tynedale Terrace until a house was taken in Brompton Place in 1884. 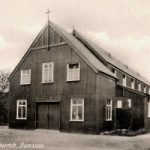 In 1884 the present Presbytery was built for £764.00 making a total debt of £2410.00 for School and Presbytery, which was a very large sum for a relatively small congregation. Owing to the siting of St Philip Neri many locals fail to notice the Presbytery, which is a spacious house with a pleasant ‘hidden’ garden between itself and the church. 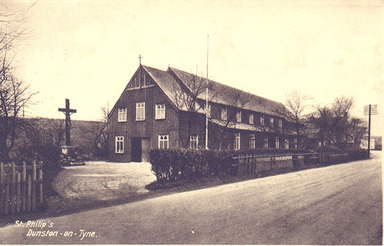 The dual-purpose building served until 1905 when the temporary Church was built. 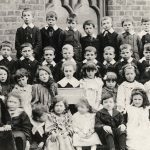 This was followed in 1909 by an extension to the school building and the opening of the infant school as a separate department. In 1934 after nearly thirty years, the present St Philip Neri replaced the ‘Temporary’ church building. Due to the high demand for places at St Philip’s, the school is presently undergoing expansion building work and we hope to eventually become a single form entry school. We are excited about our new plans and are proud to continue remembering our past whilst moving into the future.